Get Bud Powell essential facts below. 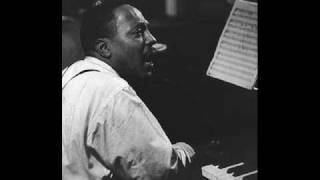 View Videos or join the Bud Powell discussion. Add Bud Powell to your PopFlock.com topic list for future reference or share this resource on social media. Earl Rudolph "Bud" Powell (September 27, 1924 - July 31, 1966) was an American jazz pianist. 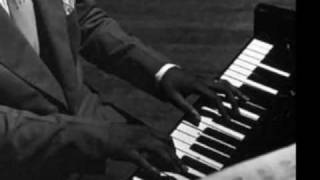 Though Thelonious Monk was a close friend and influence, his greatest piano influence was Art Tatum. Along with Charlie Parker, Monk, and Dizzy Gillespie, Powell was a leading figure in the development of modern jazz, or bebop. His virtuosity led many to call him the Charlie Parker of the piano. 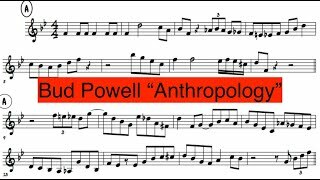 Powell was also a composer, and many jazz critics credit his works and his playing as having "greatly extended the range of jazz harmony." Powell's father was a stride pianist. Powell took to his father's instrument at a very young age, starting on classical-piano lessons at the age of five. His teacher, hired by his father, was a West Indian man named Rawlins. But by the age of 10, Powell also showed interest in the swing-era jazz that could be heard all over the neighborhood. He first appeared in public at a rent party, where he mimicked Fats Waller's playing style. The first jazz composition that he mastered was James P. Johnson's "Carolina Shout". Bud's older brother, William, played the trumpet (and the violin), and by the age of 15 Bud was playing in William's band. By this time, Powell had heard on radio Art Tatum, whose overwhelmingly virtuosic piano technique Powell then set out to equal. Bud often sought out opportunities to hear Tatum in local venues. Even as an underage youth, Bud often listened to the musically adventurous performances at the Uptown House, an after-hours venue near where he lived. Here, the first stirrings of modernism (bebop) were heard nightly, and where Charlie Parker first appeared as a solo act when he briefly lived in New York. Thelonious Monk had also played at the Uptown House. When he and Powell met (around 1942) the elder pianist/composer introduced Powell to the circle of bebop musicians that was forming at the venue known as Minton's Playhouse. Monk was resident there, and he presented Powell as his prote;ge;. Their mutual affection grew and Monk became Powell's greatest mentor. For his part, Powell eagerly experimented with Monk's latest ideas on the piano. 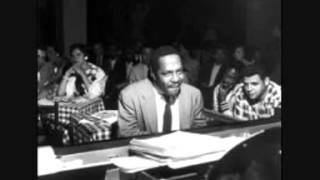 Monk's composition "In Walked Bud" is a tribute to their time together in Harlem. Powell was engaged in a series of dance bands, his incubation culminating in his being given the piano chair in the big-time swing orchestra of Cootie Williams. In late 1943 he was offered the chance to appear at a midtown nightclub with the modernist quintet of Oscar Pettiford and Dizzy Gillespie, but Powell's mother decided he would continue with the more secure job, with the popular Williams. Powell was the pianist on a handful of Williams's recording dates in 1944, the last of which included the first-ever recording of Monk's "'Round Midnight". His tenure with Williams was terminated one night in Philadelphia, in January 1945, when he got separated from the other band members once they had left the bandstand at the end of the evening. Powell was wandering around Broad street station and was apprehended, drunk, by the private railroad police. He was beaten by them, and then briefly incarcerated by the city police. Ten days after his release, his headaches persisting, he was hospitalized--first in Bellevue, an observation ward, and then in a state psychiatric hospital, sixty miles away. He stayed there for two and a half months. Powell resumed playing in Manhattan immediately upon his release, in demand by various small-group leaders for nightclub engagements in the increasingly integrated midtown scene. His 1945-46 recordings, many as the result of his sudden visibility on the club scene, were for Frank Socolow, Sarah Vaughan, Dexter Gordon, J. J. Johnson, Sonny Stitt, Fats Navarro, and Kenny Clarke. Powell quickly gained a reputation as an excellent sight-reader, and for his ability to play at fast tempos. His percussive punctuation of certain phrases, as well as his predilection for speed, showed the influence of Parker and other modern horn soloists. "Bebop in Pastel" (soon to be known as "Bouncing with Bud") was first recorded on August 23, 1946 and became a jazz standard. 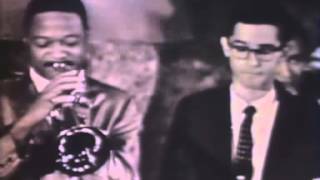 Powell's career advanced again, when Parker chose him to be his pianist on a May 1947 quintet record date, with Miles Davis, Tommy Potter, and Max Roach; this was to be the only studio session in which both Parker and Powell were to play together. The Parker session aside, Powell performed on only two other records and seldom appeared at nightclubs in 1947. In November, he had an altercation with another customer at a Harlem bar. In the ensuing fight, Powell was hit over his eye with a bottle. When Harlem Hospital found him incoherent and rambunctious, it sent him to Bellevue, which had the record of his previous confinement there and in another psychiatric hospital. It chose to institutionalize him again, though this time at Creedmoor State Hospital, a facility much closer to Manhattan. He was kept there for eleven months. Powell eventually adjusted to the conditions in the institution, though in psychiatric interviews he expressed feelings of persecution founded in racism. From February to April 1948, he received electroconvulsive therapy, first administered after an outburst deemed to be uncontrollable. It might have been prompted by his learning, after a visit by his girlfriend, that she was pregnant with their child. While the electroconvulsive therapy was said to have made no difference, the MDs gave Powell a second series of treatments in May. He was eventually released, in October 1948 -- though from these early and subsequent hospitalizations, he was emotionally unstable for the rest of his career. After another (though brief) hospitalization in early 1949, Powell made several recordings, most of which were for Alfred Lion of Blue Note Records and for Norman Granz of Mercury, Norgran and Clef. 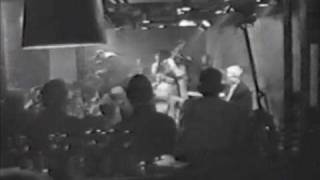 The first Blue Note session, in August 1949, features Fats Navarro, Sonny Rollins, Powell, Tommy Potter and Roy Haynes, and the compositions "Bouncing with Bud" and "Dance of the Infidels". The second Blue Note session in 1951 was a trio with Curley Russell and Max Roach, and includes "Parisian Thoroughfare" and "Un Poco Loco"; the latter was selected by literary critic Harold Bloom for inclusion on his short list of the greatest works of twentieth-century American art. Sessions for Granz (more than a dozen) were all solo or trios, with a variety of bassists and drummers, including Ray Brown, George Duvivier, Percy Heath, Russell, Lloyd Trotman, Art Blakey, Kenny Clarke, Osie Johnson, Buddy Rich, Roach, and Art Taylor. Powell's continued rivalry with Parker was also the subject of disruptive feuding and bitterness on the bandstand, as a result of Powell's troubled mental and physical condition. Powell recorded for both Blue Note and Granz throughout the 1950s, interrupted by another long stay in a mental hospital from late 1951 to early 1953, following arrest for possession of marijuana, after which he was released into the guardianship of Oscar Goodstein, owner of the Birdland nightclub. A 1953 trio session for Blue Note (with Duvivier and Taylor) included Powell's composition "Glass Enclosure", inspired by his near-imprisonment in Goodstein's apartment. On May 15, 1953 he played at Massey Hall in Toronto with "The Quintet", including Charlie Parker, Dizzy Gillespie, Charles Mingus, and Max Roach, which resulted in the album Jazz at Massey Hall by Debut Records. His playing after his release from hospital began to be seriously affected by Largactil, taken for the treatment of schizophrenia, and by the late 1950s his talent was in eclipse. In 1956 his brother Richie Powell, a fellow pianist, was killed in a car crash alongside trumpeter Clifford Brown. Three albums for Blue Note in the late fifties showcased Powell's ability as a composer, but his playing was far removed from the standard set by his earlier recordings for the label. After several further spells in hospital, Powell moved to Paris in 1959, in the company of Altevia "Buttercup" Edwards, whom he had met after an incarceration in 1954. The couple moved permanently into the Hotel La Louisiane. She kept control of his finances and kept him dosed with Largactil, but Powell continued to perform and record. The 1960 live recording of the Essen jazz festival performance (with Clarke, Oscar Pettiford and, on some numbers, Coleman Hawkins) is particularly notable. 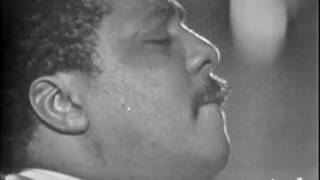 In December 1961 he recorded two albums for Columbia Records under the aegis of Cannonball Adderley: A Portrait of Thelonious (with Michelot and Clarke), and A Tribute to Cannonball (with the addition of Don Byas and Idrees Sulieman--despite the title, Adderley only plays on one alternate take). 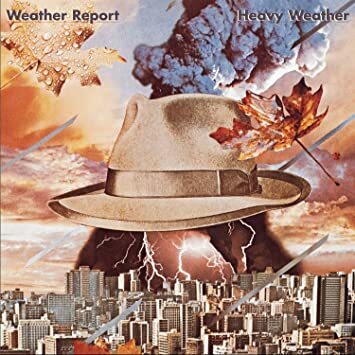 The first album (with overdubbed audience noise) was released shortly after Powell's death, and the second was released in the late 1970s. Eventually, Powell was befriended by Francis Paudras, a commercial artist and amateur pianist, and Powell moved into Paudras's home in 1962. There was a brief return to Blue Note in 1963, when Dexter Gordon recorded Our Man in Paris for the label. Powell was a last-minute substitute for Kenny Drew, and the album of standards--Powell could not by then learn new material--showed him to be still capable of playing with some proficiency. In 1963, Powell contracted tuberculosis, and the following year returned to New York with Paudras for a return engagement at Birdland accompanied by drummer Horace Arnold and bassist John Ore. Arnold called it "the Ultimate Performance experience of my life". The original agreement had been for the two men to go back to Paris, but Paudras returned alone (although Powell did record in Paris, with Michel Gaudry and Art Taylor, in July 1964). In 1965, Powell played only two concerts: one a disastrous performance at Carnegie Hall, the other a tribute to Charlie Parker on May 1 with other performers on the bill, including Albert Ayler. Little else was seen of him in public. During these two years, Powell's life started to fall apart, and his reliance on alcohol led to performances that were ruined after just one drink, his emotional state becoming significantly imbalanced. Powell was hospitalized in New York after months of increasingly erratic behavior and self-neglect. On July 31, 1966, he died of tuberculosis, malnutrition, and alcoholism. Several thousand people viewed his Harlem funeral procession. He was really the first guy; before Bud Powell, pianists were playing boom, chuck in the left hand and a lot of melodic figures in the right hand that tended to be arpeggios. But with Bud Powell, Bud Powell was imitating Charlie Parker. So Bud was the first pianist to take Charlie Parker's language and adapt it successfully to the piano. That's why he is the most important pianist in music today because everybody plays like that now. His playing of melodic lines owed greatly to Billy Kyle, and his accompaniments to horn solos owed most to the style of Earl Hines. At other times, Powell's accompanying recalled stride and, on occasion, the graceful approach of pianist Teddy Wilson. His comping often consisted of single bass notes outlining the root and fifth. 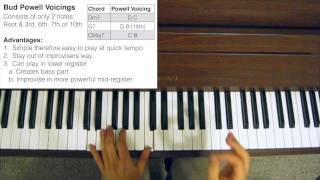 He also used voicings of the root and the tenth, or the root with the minor seventh. Powell was greatly influenced by Art Tatum early in his career and more so by Thelonious Monk later on. Powell often listened to Tatum's records and built upon Tatum's style, but with less stride in the left and without the "arabesques" and "flourishes" favored by Tatum. 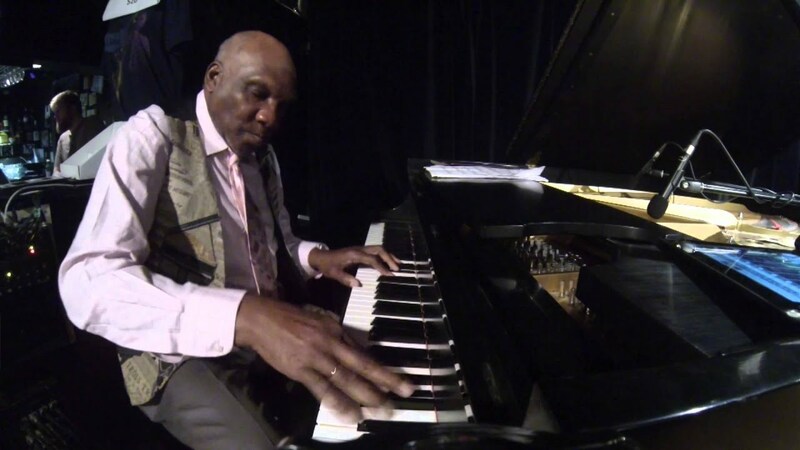 It has been said that Powell is the linchpin between Tatum and the bebop pianists. Where his solos could be heard to emulate the horn players' attack--with the use of frequent arpeggios punctuated by chromaticism--this was, in part, because of his determination to see that the pianist get the adulation usually reserved for the saxophonist or trumpeter. Powell's progressive exploration, on nightclub bandstands, of the harmonic series[clarification needed] often produced brilliant, thrillingly unexpected solos. But his generally rough-edged execution was the price that his music paid for his virtuosic striving. Many later pianists, nonetheless, copied his daring attack, looking to attain that rarefied status, of the fearless improviser. They also emulated his lush melodicism on ballads. Powell freed the right hand for continuous linear exploration at the expense of developing the left. Legend has it that one night Art Tatum criticized him as he came off the bandstand after playing a set. Powell responded in his next set by soloing on a piece exclusively with his left hand. 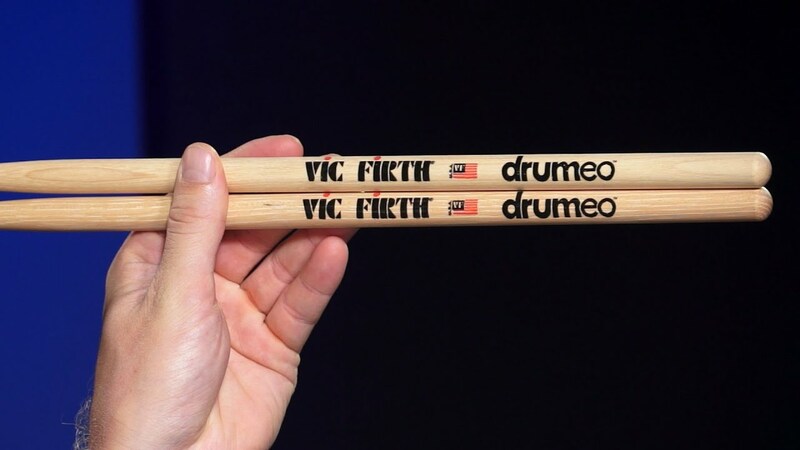 His favoring the treble was not to avoid integrating the hands, which is essential to both a solo and accompanying technique. These formed the basic small ensembles that have dominated jazz since the bebop era (after swing). Before Powell, Art Tatum and Earl Hines had also somewhat explored independent homophony closely resembling later piano playing. The pianist's time was especially solid. So much so, that he was not dependent on his accompanists. 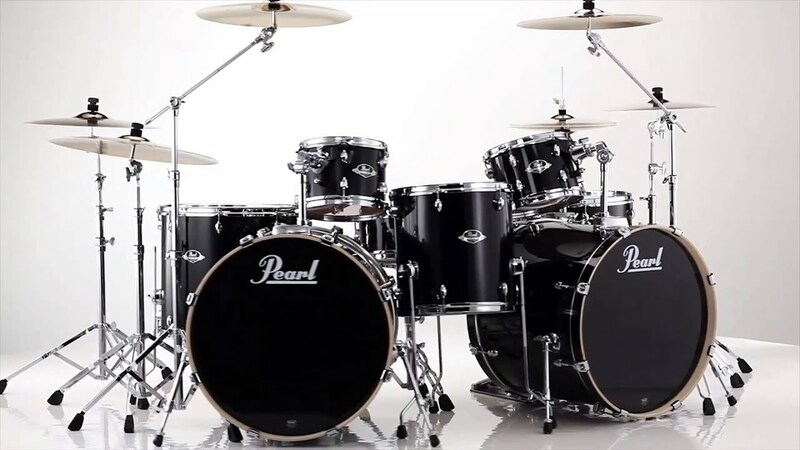 Powell dictated the time when he played, in particular throughout the strength of the eight-notes in his right hand, essentially participating in the time-keeping with the bassist and drummer. This is reminiscent of recordings of Charlie Parker. Powell influenced countless younger musicians, especially pianists. These included Horace Silver,Wynton Kelly,Andre Previn,McCoy Tyner,Cedar Walton, and Chick Corea. Bill Evans, who described Powell as his single greatest influence, paid the pianist a tribute in 1979: "If I had to choose one single musician for his artistic integrity, for the incomparable originality of his creation and the grandeur of his work, it would be Bud Powell. He was in a class by himself". 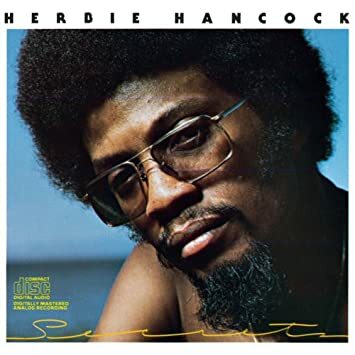 Herbie Hancock said of Powell, in a Down Beat magazine interview in 1966: "He was the foundation out of which stemmed the whole edifice of modern jazz piano". In 1986 Paudras wrote a book about his friendship with Powell, translated into English in 1997 as Dance of the Infidels: A Portrait of Bud Powell. The book was the basis for Round Midnight, a film inspired by the lives of Powell and Lester Young, in which Dexter Gordon played the lead role of an expatriate jazzman in Paris. In February 2012 a biography titled Wail: The Life of Bud Powell by Peter Pullman was released as an ebook. Years listed are years recorded (not years released). 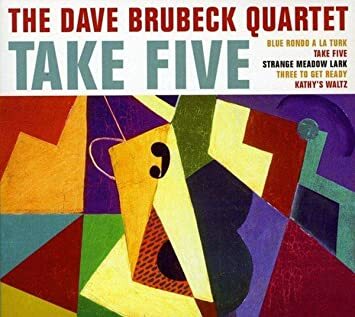 Tempus Fugue-It (Proper) - Four disc set, from 1944 recordings with Cootie Williams to the first sessions for Blue Note and Clef in 1949-50. The Complete Bud Powell on Verve - Five discs, sessions from 1949 to 1956. The Best of Bud Powell on Verve - Single disc compilation. The Complete Blue Note and Roost Recordings - Four disc set containing all of the Amazing Bud Powell... Blue Note sessions plus Roost sessions from 1947 and 1953. The Blue Note sessions have also been remastered and reissued as individual CDs (though the Roost material is not included). The Complete RCA Trio Sessions - Contains Swingin' with Bud and Strictly Powell. 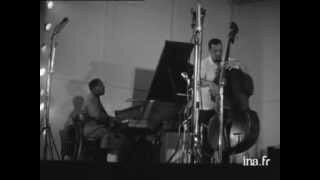 1960: Mingus at Antibes - sits in on one track, "I'll Remember April"
^ Perkins, Bob. "The Demons of Bud Powell". Retrieved . ^ Siek, Stephen (2016-11-10). A Dictionary for the Modern Pianist. Rowman & Littlefield. ISBN 9780810888807. ^ a b Pullman, chapter 1. ^ Dicaire, David (2006-02-17). Jazz Musicians, 1945 to the Present. McFarland. ISBN 9780786485574. ^ Jazz: The First 100 Years. Henry Martin and Keith Waters. Cengage Learning, 2005. ISBN 0-534-62804-4. p. 215. ^ a b c d e f Pullman, Peter (2012-01-01). 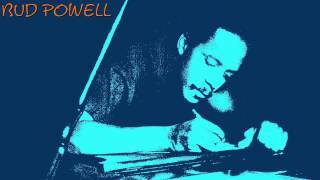 Wail: The Life of Bud Powell. Peter Pullman LLC. ISBN 9780985141813. ^ "1941-1944 [Classics] - Cootie Williams & His Orchestra | Songs, Reviews, Credits | AllMusic". AllMusic. Retrieved . 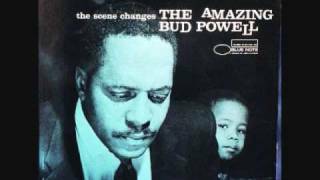 ^ a b c d e "Bud Powell Discography". www.jazzdisco.org. Retrieved . ^ a b c Ramsey, Guthrie P. (2013-05-28). The Amazing Bud Powell: Black Genius, Jazz History, and the Challenge of Bebop. University of California Press. ISBN 9780520243910. ^ Pullman, Peter. 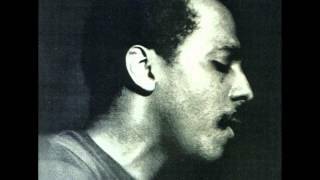 Wail: The Life of Bud Powell. Bop Changes. pp. 84-5. ^ Dyer, Geoff (2014-06-24). But Beautiful: A Book About Jazz. Farrar, Straus and Giroux. ISBN 9781466869851. 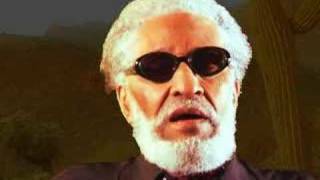 ^ "ALFRED LION, 78, THE FOUNDER OF THE BLUE NOTE JAZZ LABEL". The New York Times. 1987-02-09. ISSN 0362-4331. ^ Davis, Francis (2002-10-24). Like Young: Jazz, Pop, Youth And Middle Age. Da Capo Press. ISBN 0306811863. ^ Martin, Henry; Waters, Keith (2015-01-01). Jazz: The First 100 Years, Enhanced Media Edition. Cengage Learning. ISBN 9781305545038. ^ Reisner, Robert (1977-08-22). Bird: The Legend Of Charlie Parker. Da Capo Press. ISBN 0306800691. ^ Davis, Francis. "Bud's Bubble". The Atlantic. Retrieved . ^ Davis, Francis (January 1996). "Bud's Bubble". The Atlantic Monthly. ^ Catalano, Nick (2001-01-01). Clifford Brown: The Life and Art of the Legendary Jazz Trumpeter. Oxford University Press. ISBN 9780195144000. ^ Wilmer, Val (1989). Mama Said There'd Be Days Like This: My Life in the Jazz World. Womens PressLtd. p. 102. ISBN 978-0-7043-5040-3. ^ "Powell, Earl 'Bud' (1924-1966)" at blackpast.org. ^ Fred Jung (2010). "A Fireside Chat with Bill Cunliffe". all-about-jazz. Retrieved . When I was a kid, I was listening mostly to classical music because my dad had a lot of it in the house. I listened to all the stuff that was on the radio in the Sixties and Seventies. ^ "Happy Birthday Billy Kyle!". National Jazz Museum in Harlem. Retrieved . ^ Gitler, Ira (2009-02-18). The Masters Of Bebop: A Listener's Guide. Da Capo Press, Incorporated. ISBN 9780786745241. ^ Owens, Thomas (1996-05-23). Bebop: The Music and Its Players. Oxford University Press. ISBN 9780195355536. 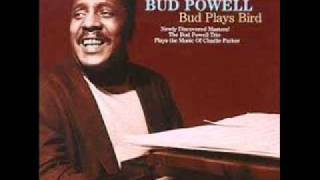 ^ "NPR's Jazz Profiles: Bud Powell". www.npr.org. Retrieved . ^ Harris, Barry; Weiss, Michael (1994). The Complete Bud Powell on Verve (Liner notes, booklet). Verve. pp. 105, 106. ^ Silver, Horace (1994). The Complete Bud Powell on Verve (Liner notes, booklet). Verve. p. 98-100. ^ Bogdonov, Vladimir; Woodstra, Chris (2002). All Music Guide to Jazz. Backbeat Books. p. 709. ISBN 978-0-87930-717-2. ^ Turner, Richard Brent (2003). Islam in the African American Experience. Indiana University Press. p. 140. Retrieved . ^ Deardra Shuler, "Cedar Walton and Barry Harris to play Jazz at Lincoln Center", Archived June 24, 2013, at Archive.is New York Amsterdam News, June 20, 2013. ^ Diliberto, John. "Jazz Profiles from NPR: Chick Corea". npr.org. NPR. Retrieved 2014. ^ Reed, Leonard (November 13, 1994). "Bud Powell Gets His Long Overdue Due". Los Angeles Times. Retrieved 2017. ^ Paudras, Francis (1998-03-22). Dance Of The Infidels: A Portrait Of Bud Powell. Da Capo Press. ISBN 0306808161. 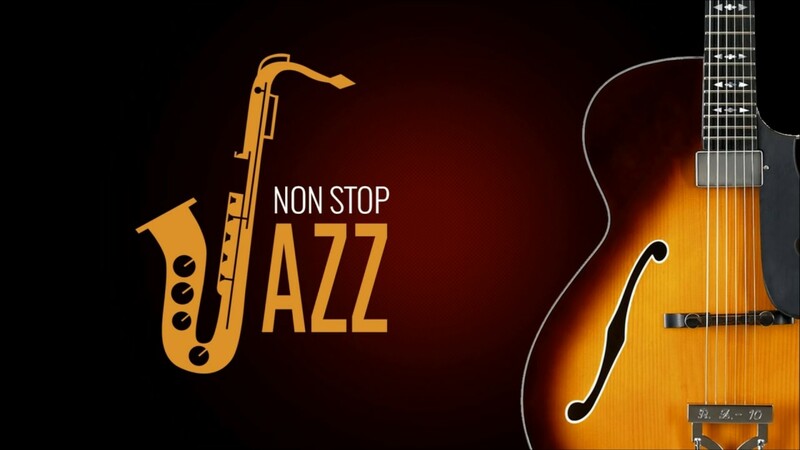 ^ Jazz, All About. "Dance of the Infidels: A Portrait of Bud Powell". All About Jazz. Retrieved . ^ 10-inch LP release of January 1947 recording session. Roost RLP-401. Later re-issued together with Bud Powell Trio, Volume 2 on a single 12-inch LP, Bud Powell Trio (Roost RLP 2224 / RST 2224). ^ 10-inch LP release of February 1949 and February 1950 sessions. Mercury MG 35012 (Clef MGC 102 / Clef MGC 502 / Mercury MGC 502). Re-issued together with (most of) Piano Solos No. 2 as Jazz Giant (Norgran MGN 1063 / Verve MGV 8153). ^ 1951 release of August 1949 and May 1951 sessions. Blue Note BLP 5003, BLP 1503. ^ 10-inch LP release of February & July 1950 sessions. Mercury MGC 507 (Clef MGC 507). All but the two July tracks re-issued together with Piano Solos as Jazz Giant (Norgran MGN 1063 / Verve MGV 8153). ^ July 1950 session in trio; February 1951 session solo. Mercury MGC 610 (Clef MGC 610 / Clef MGC 739 and, as The Genius of Bud Powell, Verve 8115) Not to be confused with the Norgran release Bud Powell's Moods. ^ 1954 release of August 1953 session. Blue Note BLP 5041, BLP 1504 / Blue Note BST 81504 (pseudo stereo). ^ 10-inch LP release of September 1953 recording session. Roost RLP-412. Later re-issued together with Bud Powell Trio on a single 12-inch LP, Bud Powell Trio (Roost RLP 2224 / RST 2224). ^ June 1954, January 1955 sessions. Norgran MGN 1064 (Verve MGV 8154) Not to be confused with the Mercury / Clef release Bud Powell's Moods. ^ 1955 release of December 1954 and January 1955 sessions. Norgran MGN 1017 (and, as Bud Powell '57, Norgran MGN 1098 / Verve MGV 8185). ^ January and April 1955 sessions. Verve MGV 8301. ^ April 1955 sessions. Norgran MGN 1077 (Verve MGV 8167). ^ September 1956 session. Verve MGV 8218. ^ October 1956 session, RCA Victor LPM 1423. ^ February 1957 session, RCA Victor LPM 1507. ^ August 1957 session. Blue Note BLP 1571 (Blue Note BST 81571, CDP 7 81571-2). ^ October & December 1957 and January 1958 sessions only released in 1997. ^ May 1958 session. Blue Note BLP 1598 (Blue Note BST 81598, CDP 7 46820-2). ^ December 1958 session. Blue Note BLP 4009 (Blue Note BST 84009, CDP 7 46529-2). ^ a b December 1961 session in Paris, produced by Cannonball Adderley. ^ February 1963 session in Paris, produced by Duke Ellington. ^ April 1961 live recording in Milan, Italy (Moon MCD 055-2). The album is split between the Powell session and unrelated 1966-70 European sessions by Thelonious Monk. ^ April 1962 live recordings at the Gyllene Cirkeln, Stockholm, Sweden. With Torbjrn Hultcrantz on bass, and Sune Spngberg on drums. 5 volumes available as individual discs. Rare Powell vocals on "This Is No Laughin' Matter". Eds. "Bud Powell". The New Grove Dictionary of Jazz. Oxford University Press. Retrieved 2014. 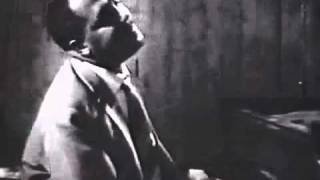 Bud Powell "Bouncing With Bud"
Bud Powell Trio, in "There will never be another you".